Grace Farms Foundation and the Interfaith Council of Southwestern Connecticut invite you to join us for an Interfaith Seder led by Rabbi Joshua Hammerman of Temple Beth-El, Reverend Mark Lingle of St. Francis’ Episcopal Church, Dr. Kareem Adeeb of the American Institute for Islamic and Arabic Studies, and Matt Croasman, Grace Farms Foundation’s Faith Initiative Director. Registration is required. 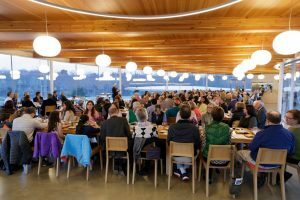 Visit http://gracefarms.org/events/interfaith-seder-2019/.